CHARLOTTE, N.C. — Eli Manning got his coach. Now Odell Beckham Jr. has his. The Giants will hire Adam Henry as their wide receivers coach, a source confirmed Sunday, reuniting the former LSU mentor with his most productive pupil. FootballScoop.com first reported the move. Henry was the 49ers’ receivers coach this season, but before that, he coached wide receivers at LSU from 2011-14. Beckham played at LSU from 2011-13, and they have remained close. Most notable was his loss of control in Week 15 against the Panthers. He was flagged for three personal fouls, including one for an ugly helmet-to-helmet hit on cornerback Josh Norman, and was suspended by the NFL for the following game. Harvey could be that help as a coach/counselor. As the Giants continue to assemble their staff, the Philadelphia Daily News reported Sunday that the Eagles are interested in Steve Spagnuolo as their defensive coordinator. It’s widely assumed that Spagnuolo will return to that post with the Giants in 2016, but that has yet to be officially announced. He is under contract with the Giants for 2016. Spagnuolo has ties to the Eagles. He was an assistant there along with Doug Pederson, the team’s new head coach, under Andy Reid. On Friday, Mara noted that Spagnuolo’s experience as a head coach would help McAdoo adjust to his first year with that job title. But while talking about assistants who are under contract, the co-owner also said the team’s policy has always been to not force coaches to stay against their wishes. In other words, if Spagnuolo wants to go to Philadelphia, the Giants likely will let him. After interviewing for and not getting the job as Giants head coach, perhaps he will entertain that idea. Manning had voiced his desire to keep Ben McAdoo with the Giants, and sure enough, the Giants promoted their offensive coordinator to the top spot last week. Of all the challenges the first-time head coach faces, figuring out how to control but not curtail Beckham might be the most important. 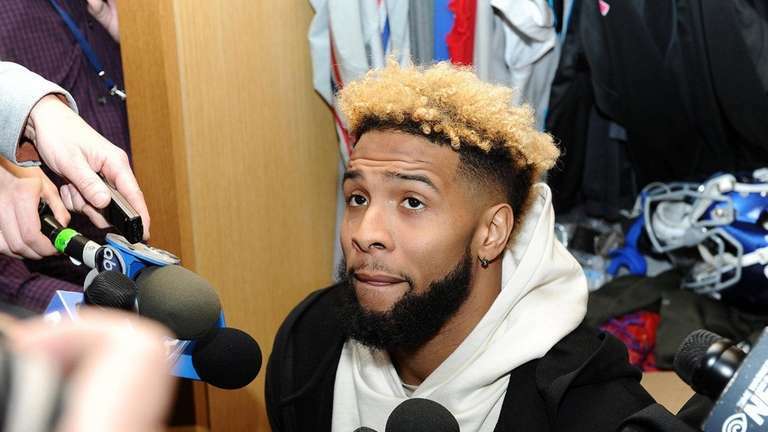 Despite saying immediately after the incident against the Panthers that he likes to have Beckham “salty,” McAdoo seemed to lean more toward discipline when talking about the incident from the perspective of his new position. Mara said he had wanted to see Beckham pulled from the game against the Panthers until he calmed down. Although that was not a main reason for the parting of the ways with Tom Coughlin, it likely colored the discussions around that decision. And it was a topic Mara broached with McAdoo during the interview process. Maybe with Henry in Beckham’s ear, it won’t get to that point again.